The Croatian Tourist Board celebrated its 25th birthday in the Lauba gallery. A selection of successful past projects, marketing and PR campaigns, achievements, awards and recognitions received over the past 25 years was presented in a celebratory, but friendly and relaxed atmosphere. More than 300 distinguished guests gathered for the celebration. 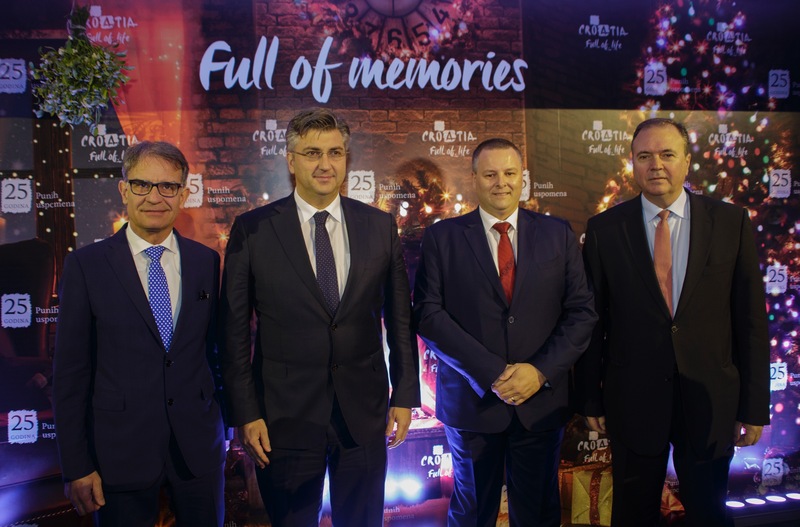 They were greeted with welcoming speeches by the General Director of the Croatian Tourist Board Kristijan Staničić, the Minister of Tourism Gari Cappelli and the Prime Minister of the Government of the Republic of Croatia Andrej Plenković. 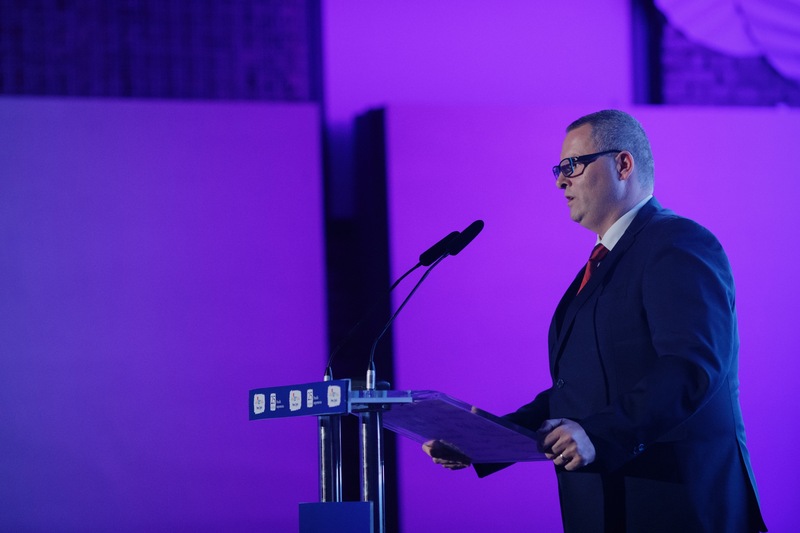 Director Staničić stressed that this was truly an important and significant anniversary for Croatian tourism. “The early beginnings of the Croatian Tourist Board can be described through hard work and enthusiasm because then it was necessary to compensate for the lack of promotional perspective, tourist maps, catalogues and other promotional materials. The one thing that we are all very proud of today is the fact that the entire system was brought rather quickly to life and that Croatia has begun its unstoppable ascent to the very top. During these 25 years, the Croatian Tourist Board has attended the most important tourism fairs in the world, organised numerous presentations and workshops with the goal of introducing foreign partners with the Croatian tourist offer, we have created and distributed promotional materials all over the world and we have also devised and conducted numerous promotional campaigns, many of which have later won numerous international recognitions. 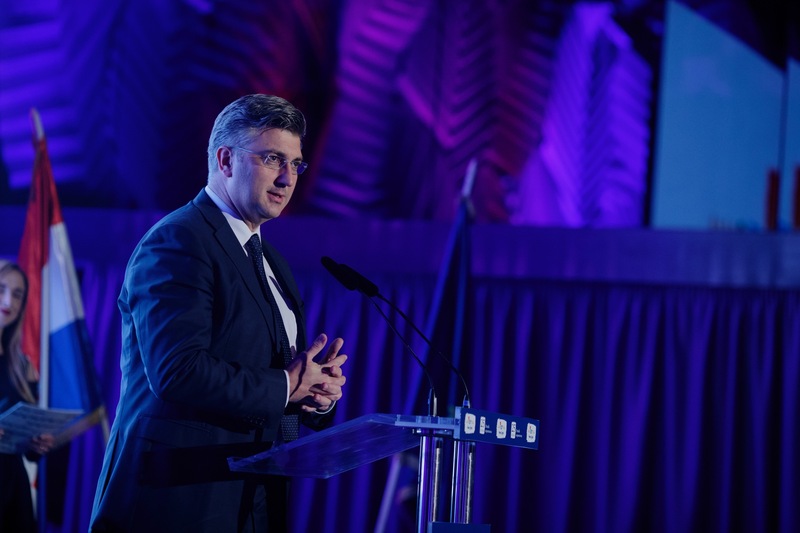 25 years of the Croatian Tourist Board’s work stand behind us and it is indisputable that this institution, together with all its employees and colleagues in the system, was an important factor for positioning Croatia as one of the most attractive tourist destinations in the world,” said Director Staničić. The celebration was attended by the former ministers of tourism, directors of the Croatian Tourist Board, numerous participants of the tourism system who have given their maximal contribution so that Croatian tourism could be even more successful and competitive, representatives of all areas of social, economic and political life in Croatia, as well as all those who in some way took part in making Croatia one of the most attractive world tourist destination over these past 25 years. 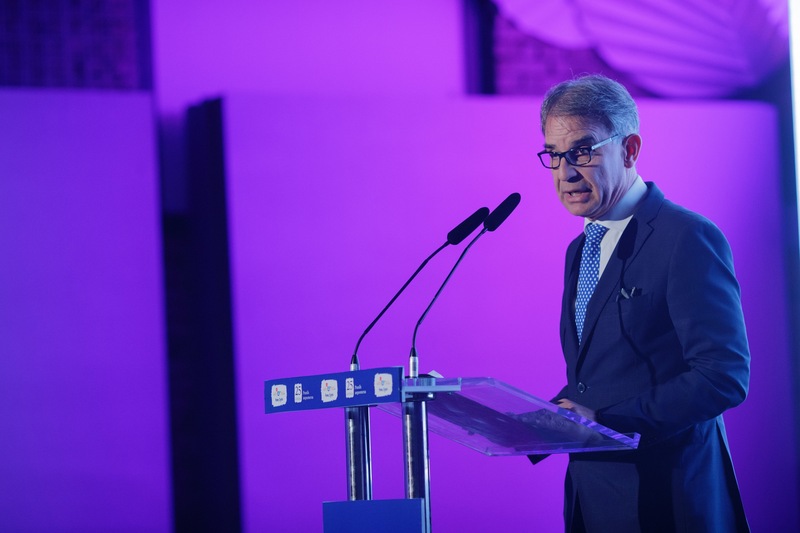 “To be competitive on the market surrounded by countries who also possess an abundance of touristic attributes requires great creativity and passion which the Croatian tourist employees in no way lack. I congratulate and thank the Croatian Tourist Board for the past twenty five years of presenting the best that Croatia has to offer in an attractive and original manner through a series of high quality, discerning marketing activities and through an ever increasing number of high quality tourist offers,” expressed Minister Cappelli, wishing for the successful fulfilment of common strategic objectives for the benefit of the entire Croatian tourism. The guests also had the opportunity to watch a special video edition following the development of the Croatian Tourist Board from its founding till today. The video expresses the strategic importance of the Croatian Tourist Board in the development of tourism in Croatia, as well as its influence on the development of Croatia as an influential world destination brand. The celebration also included a rich musical program, a tasting of Croatian delicacies and an exhibition called “Retrospektiva 25 godina” (A Retrospective of 25 Years) divided into 3 periods: “Mala zemlja za veliki odmor” (A Small Country for a Great Vacation), “Mediteran kakav je nekad bio” (The Mediterranean as it once was), and “Puna života” (Full of Life). The exhibition also included the works of renowned Croatian designers and photographers, long-time associates and partners of the Croatian Tourist Board. The Campaign #SuperBowl Croatia which won the City Nation Place Prize in the category for Best Usage of Social Media, the campaign “Out of Office” which won many international and Croatian awards, the new communication platform “Full of Life” presented in London in 2015, are only a few of the numerous achievements of the Croatian Tourist Board which were especially emphasised on this occasion. The 25th anniversary serves as a reminder of how successful the work of the Croatian Tourist Board is. With the help of its innovative concepts and state-of-the-art digital media and communication trends, it has secured its place on the dynamic world tourism scene and has shown that in only a quarter of a century of its existence, it has made Croatia a top tourist destination and a modern, authentic and recognisable destination brand.